We are a promising manufacturer, exporter and supplier of Rotary Hammer (Z1A-TK-2401 SRE) located in Yongkang, China. 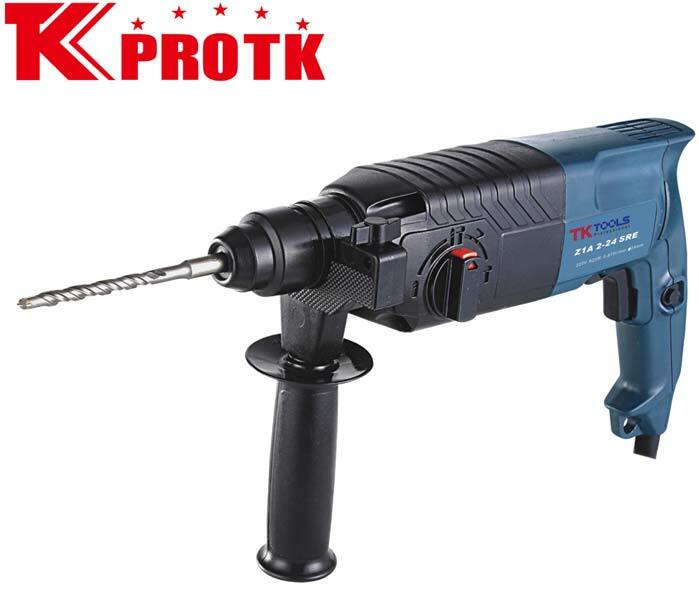 The Rotary Hammer (Z1A-TK-2401 SRE) has the components that are drill bits of 6, 8 and 10mm, color sleeve, 1 flat chisel and 1 point chisel and BMC packing. The packaging is done 5 pieces per carton with the net weight as 2.4kg. Also, the product has certification from RoHs, CE and GS. ACC 6,8,10MM Drill bits,1flat chisel &1 point chisel,color sleeve,BMC packing.